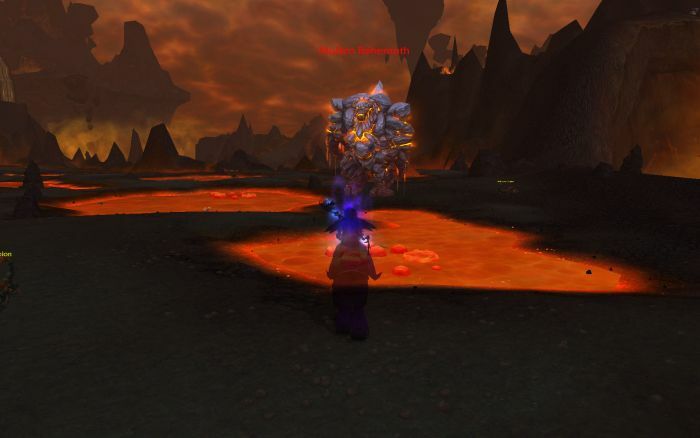 Working on Those Fireland Dailies #WoW – Nomadic Gamers, eh! I finally earned enough Mark of the World Tree tokens to complete the first request for 150 of them. It takes 9 days of daily quests to unlock the second ‘hub’ and you have a choice of two of them. Once you’ve unlocked that one it will take another 5 days of daily quests to unlock the third ‘hub.’ In total it takes approximately one month of daily quests to complete the ‘event’. There’s a fantastic write up about it over on icy-veins that I suggest people check out if they’re interested in the specifics. Right now I’m doing daily quests from the Shadow Wardens, and once I’ve gathered another 150 Marks I’ll be doing the quests for the Druids of the Talon. There are numerous rewards for all of this including three vendors with some really nice items for sale, gear, patterns, and companion pets. I’ve been doing these quests with my priest and I’m kicking myself for not having started them with the warlock. I’ve put so much time and effort into the priest that it’s finally focused me to playing a ‘main’ which is great, most of the time. You’ll have to forgive my lack of posts this month (or lengthy posts in any case) as I’m participating in NaNoWriMo for the month (feel free to add me to your buddy list!) but I’ll try to keep the site updated with what I’m up to and any quests of interest. Honestly the majority of my time is spent working on these fireland dailies, and when I’ve completed those I head to Tol Bard and do the dailies there. It leaves me with two dailies free, and I have been working on the cooking and fishing quests in Ironforge so I can complete the achievement for them. I see a lot of people upset (and some not so upset) about the new companion pets that are being sold in the Blizzard store, but it doesn’t really bother me. I saw some trying to be sold for 10k yesterday (someone was looking for reserves) but I didn’t see very many people interested in it. I guess we’ll see where it goes.